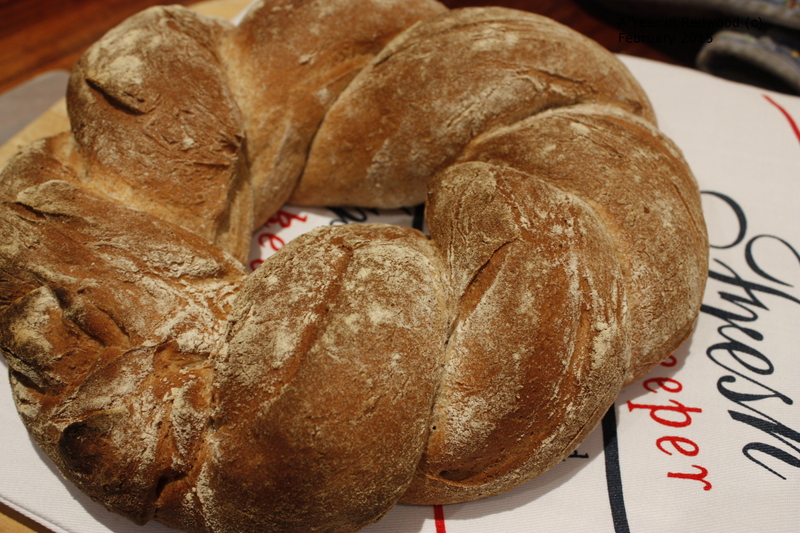 Anyone who follows this blog will know we love to bake our own bread. There was a time when I used to make bread, but my role has been reduced to being occasionally allowed to do the kneading! Alfie has completely taken over the bread-making role in this house. 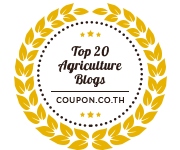 We were both hugely excited when I received an email last week asking if we’d be interested in trying out some flour from Allinsons who have just launched their Dough Tree campaign. Basically the challenge was to try one of their recipes. We were given a choice of three recipes, and asked to choose one to try. We were thrilled to accept the challenge. 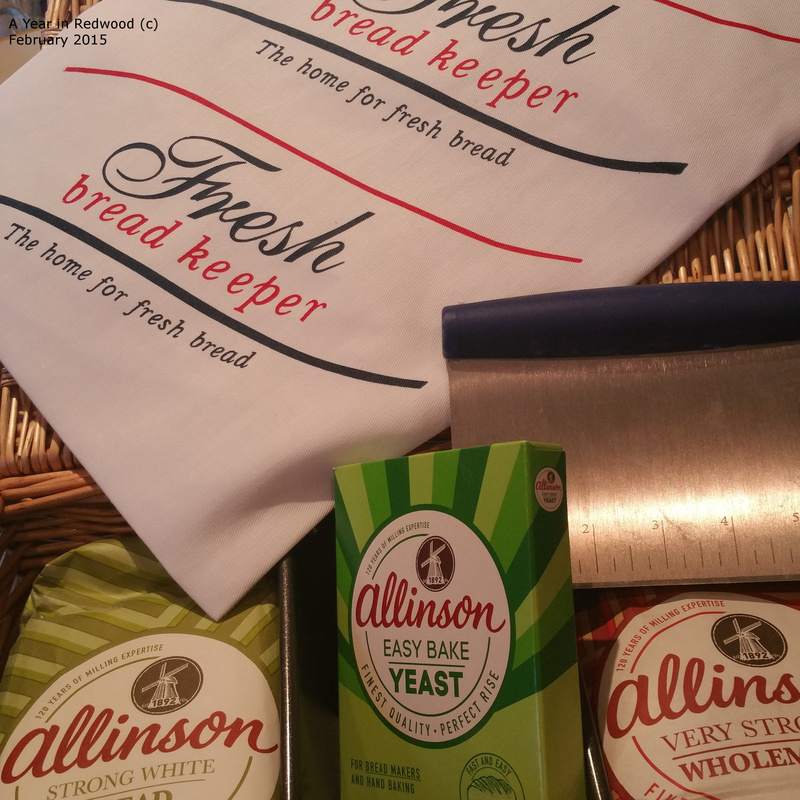 The lovely hamper arrived on Monday – containing bags of flour, yeast, a loaf tin and a scraper (Alfie’s favourite piece – he’s been wanting one for ages). Immediately Alfie was eager to get stuck in. In fact he made two of the above….. the Herb Focaccia and the Wholemeal wreath. The only think that stopped him from making the Tiger Bread was the fact that we had no rice flour. Rice flour is on the shopping list for the weekend so that Tiger Bread can be made. 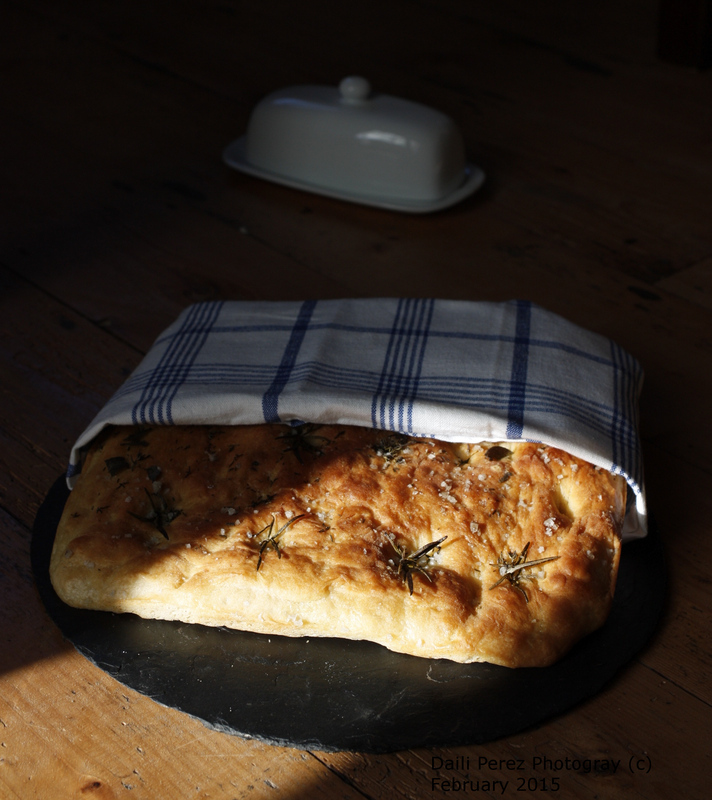 We had the focaccia with dinner that evening, and the wholemeal wreath for breakfast…. and shared some with neighbours who loved both as well! Thank you to the folks at Performics and Allinsons for the opportunity to partake. We enjoyed the fun! There are further plans to try making sourdough and other recipes from the site! Disclaimer: No money exchanged hands, we treated the hamper as a gift and were delighted to accept the baking challenge. Definitely looks the business! Go you guys! Thanks Matt…. it was a lot of fun! Just have to keep him to make the bread!!! Ooh, those breads look tasty! I’m stuck on sourdough at the moment – we just love it – but I’ve bought a few interesting flours for pasta and noodles. That focaccia looks yum – I must give that a go. Happy eating! The focaccia was delicious. Alfie has really mastered the sourdough in the past few weeks… he did a great course just down the road from us in Cloughjordan.